A familiar comfort food taste from a traditional old-fashioned cookie. 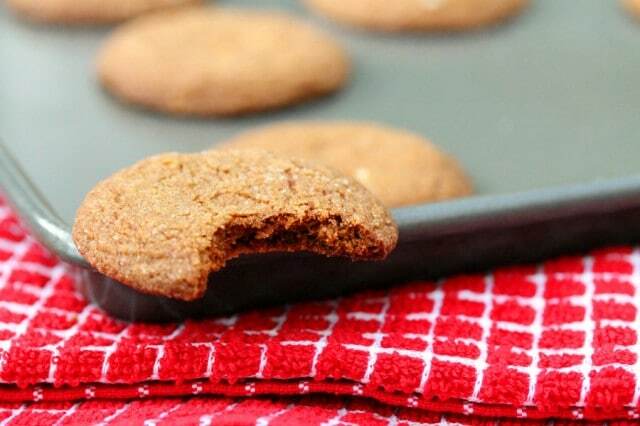 Molasses has a unique flavor that’s mild and somewhat sweet. 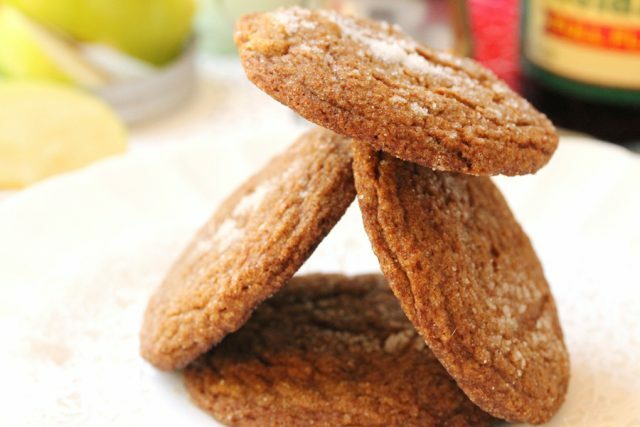 It has a taste that’s reminiscent to gingerbread (likely because gingerbread is often made with molasses). 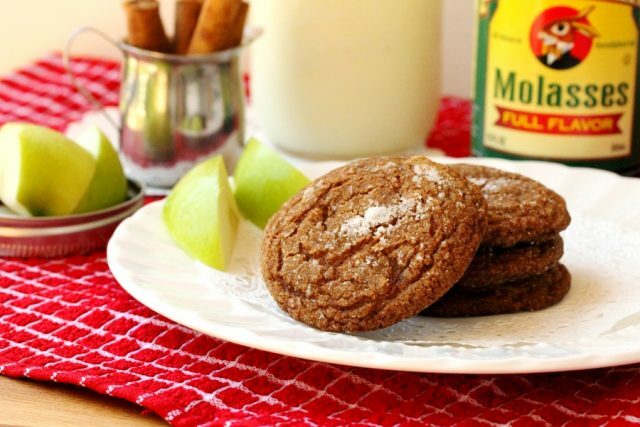 These apple molasses cookies are moist but not overly sweet. This is an old family recipe that I revised slightly to include diced fresh apple. 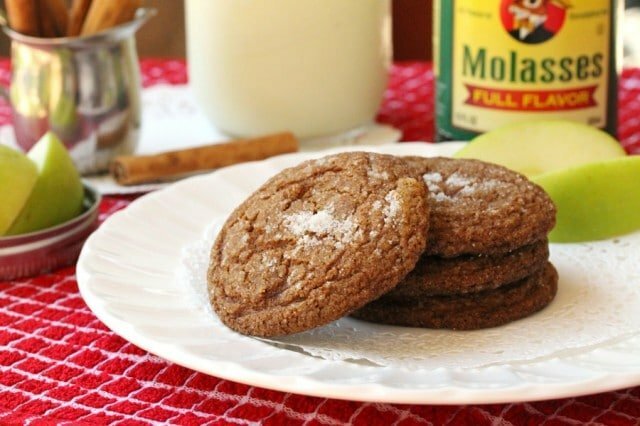 The molasses adds flavor and a nice dark brown color to these cookies as well as a comfort food taste. 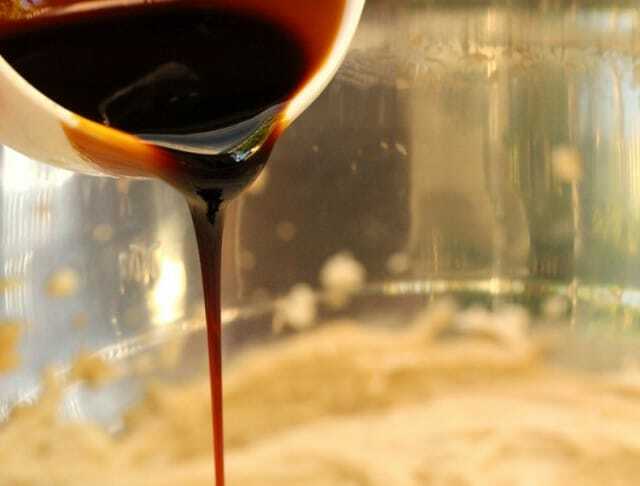 Molasses is actually a by-product from processing of sugar cane, grapes or sugar beets into sugar. 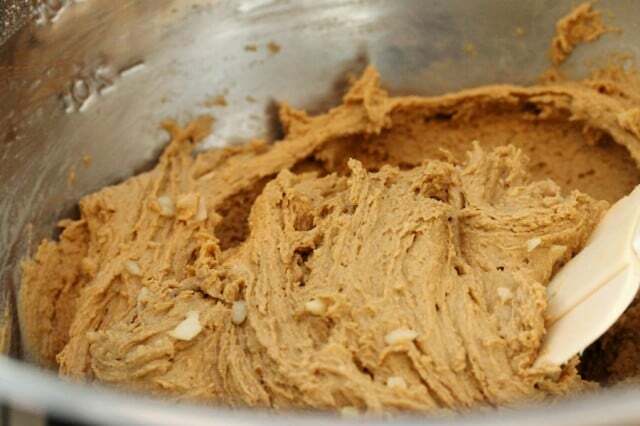 It’s used to flavor whole wheat bread, pie fillings and for making brown sugar. 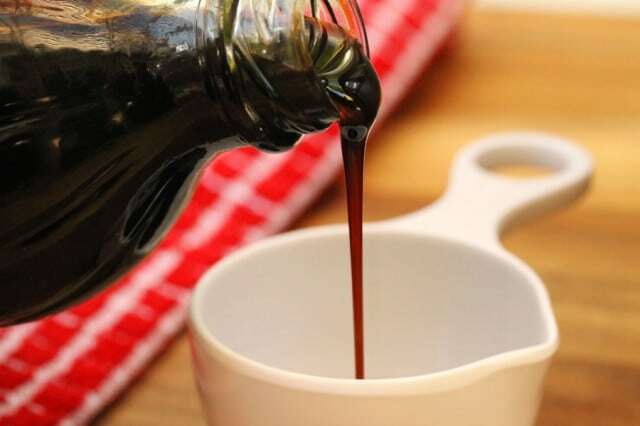 Here’s an article with more information about molasses from The Kitchn that you may like “Everything You Need To Know About Molasses“. 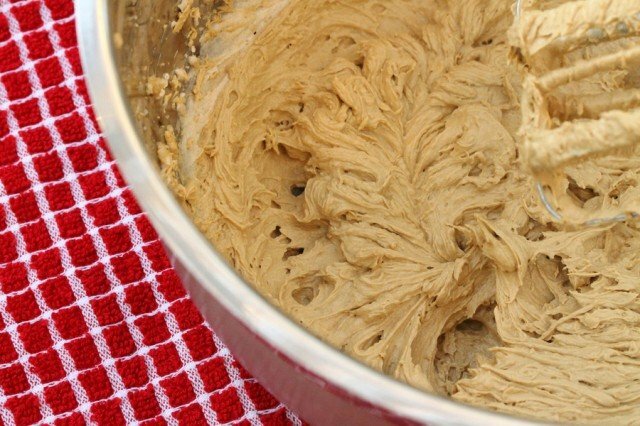 And here are more cookie recipes you may like “Baileys and Coffee White Chocolate Chip Cookies“, “White Chocolate and Tart Cherry Cookies” and “Oatmeal Cranberry Cookies“. 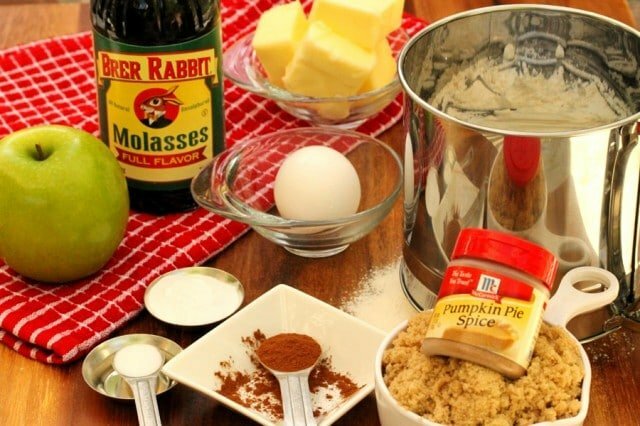 For the Dry Ingredients – In a medium size bowl, add flour, pumpkin pie spice, baking soda, cinnamon and salt. Whisk the dry ingredients together. Set aside. 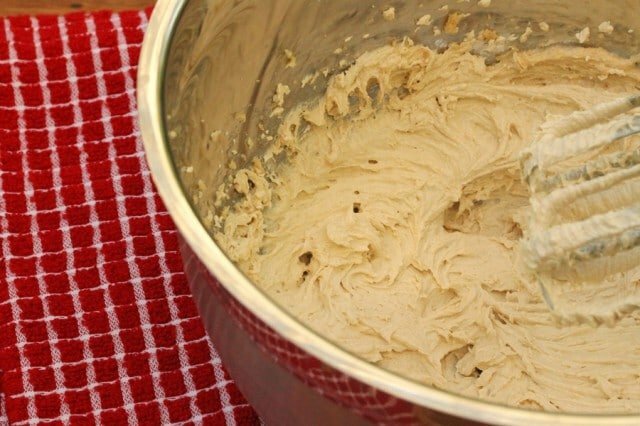 Using a hand or stand mixer, cream together. 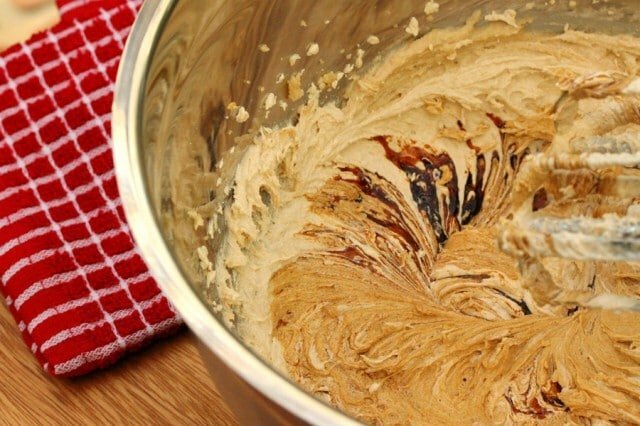 Using a mixer, mix together until creamy. 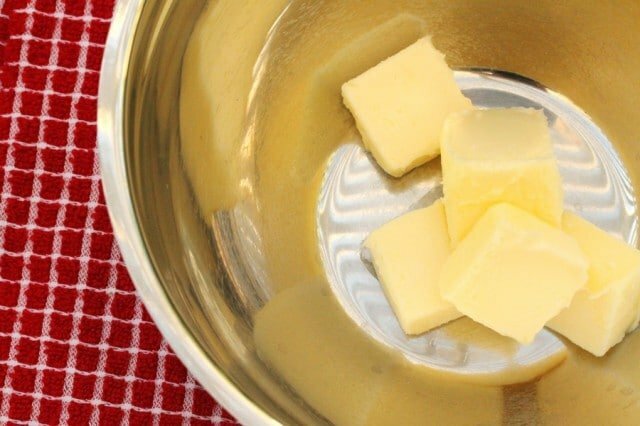 To the bowl with the butter mixture, slowly add the dry ingredients a little at a time while using a mixer on slow speed. 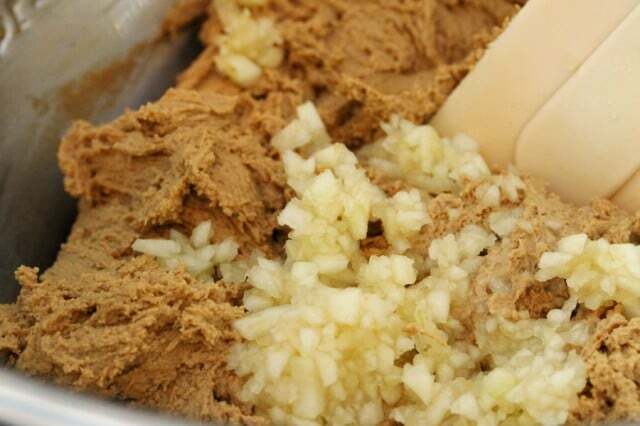 …stir the diced apple into the cookie dough. 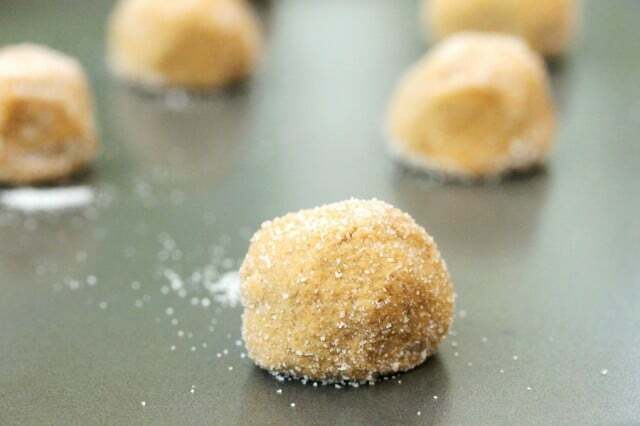 Rolling the Cookie Dough Balls – To a small bowl, add granulated sugar and set aside. 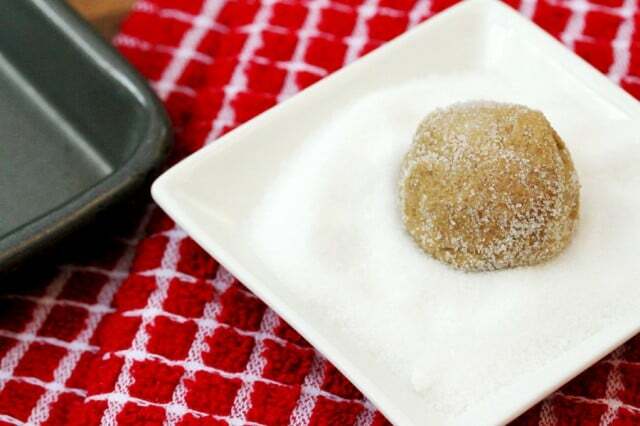 Roll the cookie dough into 1-inch balls and set on a plate. …place them onto an ungreased cookie sheet pan (in batches). Baking the Cookies – Bake in a preheated oven until the cookies start to show “cracks” on the top (about 10 minutes). 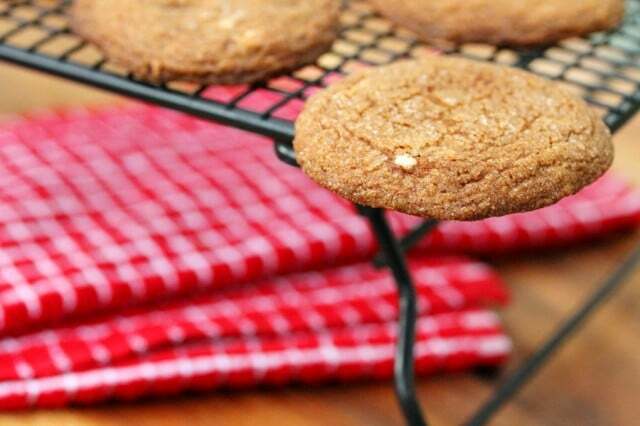 Transfer the cookies onto a cooling rack and let cool before serving. For the Dry Ingredients - In a medium size bowl, add flour, pumpkin pie spice, baking soda, cinnamon and salt. Whisk the dry ingredients together. Set aside. 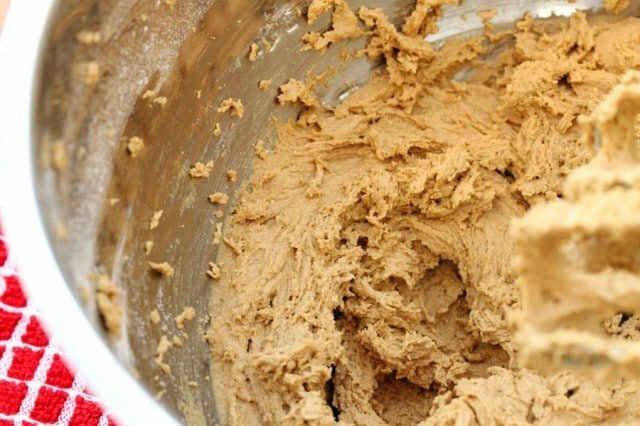 For the Cookie Dough- In a large bowl, cream the butter and brown sugar. 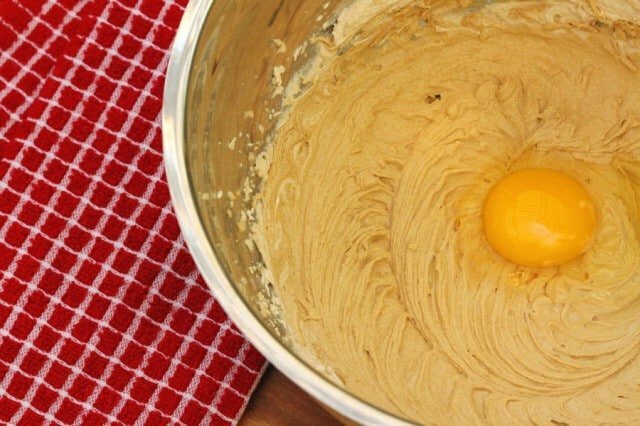 To the bowl with the butter mixture, add molasses and egg, and beat until creamy. 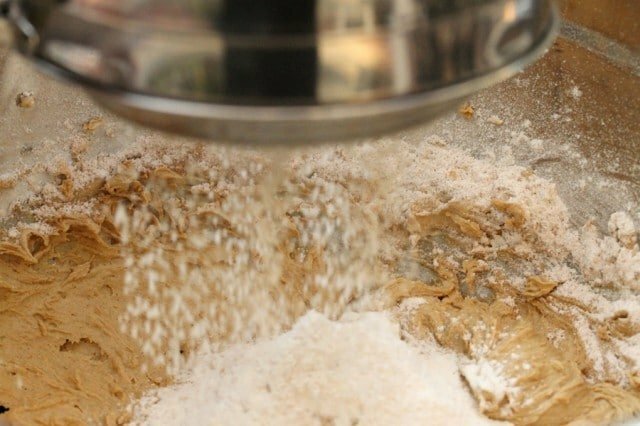 To the bowl with the butter mixture, slowly add the dry ingredients a little at a time while using a hand mixture on slow speed. 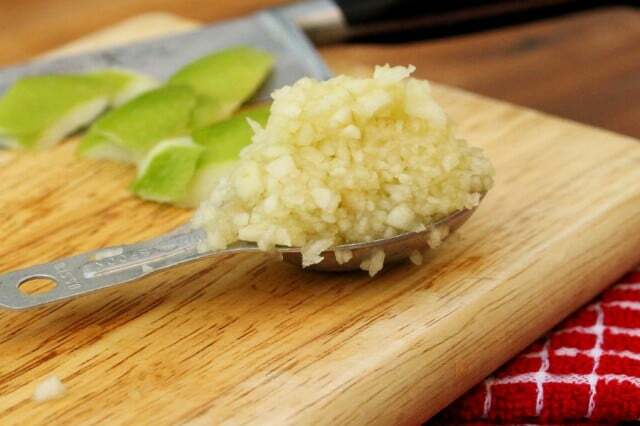 To the cookie dough, with a large sturdy spoon, stir in the diced apples. 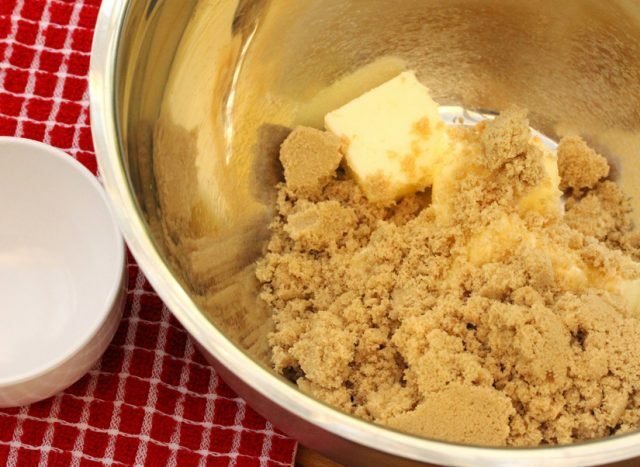 Rolling the Cookie Dough Balls - In a small bowl, add granulated sugar and set aside. Roll the dough into 1-inch balls and set them onto a large plate. 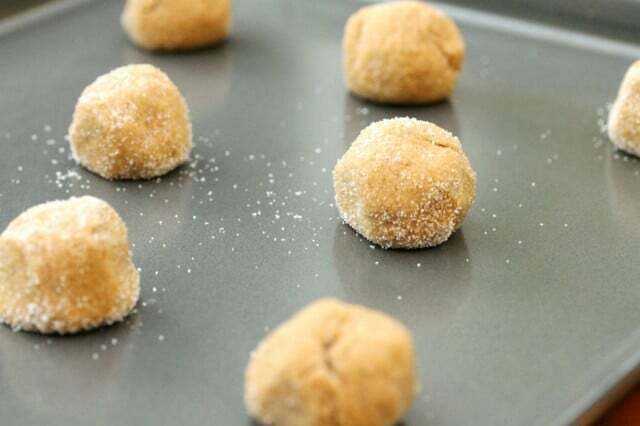 Roll each dough ball in granulated sugar and place them onto an ungreased baking sheet pan (in batches). Baking the Cookies - Bake in a preheated oven until the cookies start to show "cracks" on the top (about 10 minutes). Omigosh! These sound sooo good! 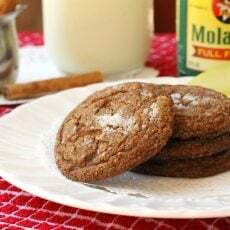 I haven’t had molasses cookies in a long, long, time and they were my mom’s recipe. Unfortunately, she passed away before I could learn it, so I’ll have to give these a try! Thank you! Hi Nicole, I hope you like them! I’m sure they won’t be as good as your mom’s were but hopefully a close second.